This may be a very obvious answer but... Is it possible to route signals to a subgroup track and record them on that channel? You can't record to a bus but you can freeze the bus. There are only two ways to route audio - subgroup and aux send, correct? Is it possible to record any audio internally in real time - by bussing or routing it to another track? With RME interfaces you can use the Loop Back function, then you can record internally in real time. From the top of my head I can't think of a way to do that only within Sam. 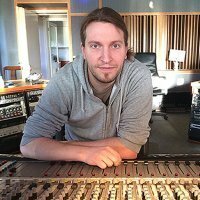 There seems be no way to record routed audio to either an auxiliary or sub- mix bus. The only way it can be done is by freezing the bus as I mentioned. This does seem rather odd limitation and I will investigate as to why this is not possible. Thanks for your responses. I find it odd as well, especially as SAMllitude and Sequoia are so well designed and professional in their philosophy. Nonetheless, it is a simple enough wokflow shift, and I can certainly accomplish the things I want to with the freeze function. I would be curious to know if it is a technical limitation of the DAW's architecture. With Samplitude Pro X, I used the freeze option to bounce down a few objects into a sample for subsequent use. Even though I manually renamed it and moved this file into a different subfolder, and it was actively used on a new track in the project, Samplitude still targeted it when doing a project file cleanup. I haven't tried this in Pro X2 yet. What I've done since then is use a free recording vst on the track or submix bus, which has worked quickly and easily enough. MRecorder by Melda Productions is the one I've had luck with (http://www.meldaproduction.com/plugins/product.php?id=MRecorder). I'm sure there are many other options out there for doing this, but this is one I've used. That seems like a workable solution. I have that plugin and will give it a try. Thanks for posting. There is a "mix to file" feature which allows you to record the master bus in realtime. And yes, that Melda freebie bundle has lots of useful stuff. No problem! I wish I would have seen your post earlier.